For over three decades Seachem has been a leader in the field of aquarium products and aquarium accessories. With a staff constructed of chemistry and biology experts, as well as passionate hobbyists, Seachem aquarium products have been considered as leaders in their field for many years. We are also one of the only remaining fully independent pet supply companies. A constant commitment to innovation and to serving the needs of the hobbyist has kept Seachem in prime position as one of the world’s leading suppliers of aquarium accessories. 30 years ago, the company’s founder began creating the products that he felt were missing from the industry. Today Seachem’s aquarium products are still more innovative and more cost effective than their leading competitors. 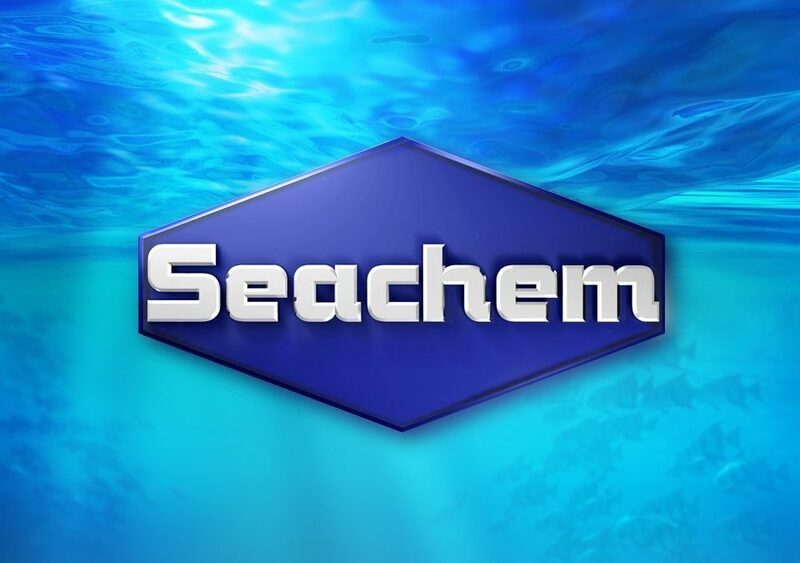 One of the first points of contact many customers have with Seachem is via Seachem Prime, our branded water conditioner. Tap water can contain a number of toxic heavy metals, so Seachem Prime water conditioner is an absolute ‘must’ for detoxifying water and creating a safe aquarium environment. With just 5ml of Prime water conditioner required to treat 250l of water, the dose rate is an industry leader, making Seachem Prime much better value than any other water conditioner available today. Seachem Prime water conditioner removes chlorine and chloramine, as well as detoxifying ammonia and nitrate along with a number of other unique benefits. Much like Seachem Prime, the entire range of Seachem aquarium products provides innovative, efficient solutions. Many products in our range are up to five times more concentrated than leading competitors, making them extremely cost effective, as well as being based on sound scientific principles and designed for convenience. Whether you have a freshwater or saltwater system, there are Seachem aquarium products that you can utilise to create the perfect environment for your fish and other marine life to thrive. 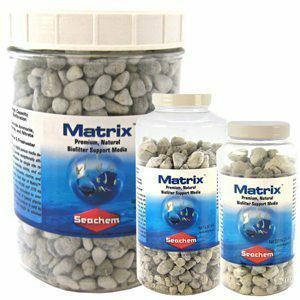 Seachem has expanded its product range over the years and we now supply everything from water test kits and filtration to foods and nutritive supplements, as well as everything you need for ponds and reefs. Take a look around our site to browse the full range of Seachem aquarium products available in the UK today. 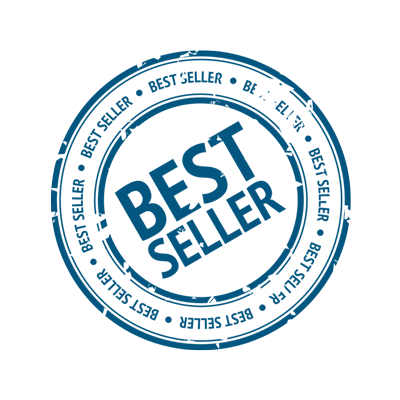 If you need our help then don’t hesitate to contact us. Fish are extremely sensitive to changes in the chemical composition of the water in which they live so, if you have an aquarium, equipping yourself with the correct fish tank purifier and water purifying solutions is of paramount importance to the welfare of the marine life you keep. Seachem has long been a household name for hobbyists in the field of aquariums. Most products we sell are highly innovative and completely unique to the brand. 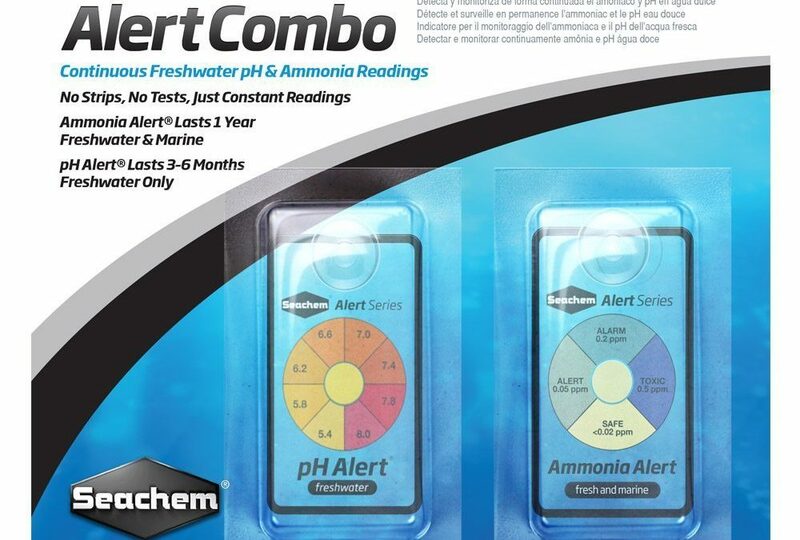 Of course we sell a complete range of water testing kits – including our revolutionary Alert Series – that allow you to be aware of when the ammonia, pH and other levels within the water change but Seachem is also the leader in fish tank purifiers as well, manufacturing a complete range of water purifying solutions. Amongst our product range you will find everything you need to create an environment in which marine life of various kinds can thrive. What Happens When Inferior Fish Tank Purifiers Are Used? Fish eat and produce waste in the water of your fish tank. Without the correct filtration, in the form of clean water solutions, toxins will begin to build up in their environment. As toxins increase your fish will become stressed, or worse. Over time – sometimes a surprisingly small amount of time – they will become sick. By keeping an aquarium you are taking responsibility for living beings. We need clean, oxygenated air to breath. They require clean, oxygenated water just as much. When you think of it in these terms – quite literally life and death – you realised that quality fish tank purifiers are of paramount importance. Seachem manufactures a number of the most effective clean water solutions on the market today. Purigen helps to control the ammonia and nitrate levels in your tank. Incredibly easy to use, its ability to cleanse toxins from the water exceeds all competing products by over 500%. This is a product that you can’t afford to be without, designed for both marine and freshwater use. Seachem prime is a concentrated conditioner for both fresh and salt water that acts as a fish tank purifier. It removes chlorine and chloramine and detoxifies ammonia and nitrate. Prime in non-acidic and will not affect pH levels. Like all Seachem products, Prime is a market leader, 5x more concentrated than the leading competitor. Fish tank purifiers from Seachem – the best on the market. By hobbyists, for hobbyists. Since you’ve found your way to the Seachem website the chances are that you already know how susceptible fish are to even the slightest of alterations to water chemistry and that you already appreciate the important role that reliable water testing equipment like a water test kit plays in the life of your aquarium. If you are setting up a new aquarium or you have found yourself losing fish it is time to look into water testing products and you are going to need information on the various water test kits on the market today. You may also already be aware that Seachem is regarded internationally as a world leader in water testing products. For over thirty years Seachem has been owned and operated by Hobbyists with a passion for keeping fish and it remains one of the largest independently owned pet supply brands. Most Seachem products, including the water testing equipment, is unique and specific to the brand, so Seachem is the only name you need to look for when seeking a water test kit. The Alert Series from Seachem is a range of ingenious water testing solutions that actually require no water test kits, no chemicals and no special procedures at all to ensure that the ammonia and freshwater pH levels in your aquarium remain exact. You simply insert the colour device into the water – one for ammonia and a second for pH. No ongoing care is required beyond casting a glance at the devices regularly to note the colour. If the levels in the water change, the colour of the device changes and you can react accordingly. Seachem Alert Series products are around half the size of products from the leading competitor and last over 4 times as long! Seachem also offers a wide range of water test kits and water testing equipment to monitor the levels of iron, copper, nitrate, silicate, phosphate and iodine/iodide, as well as specialist reef testing kits that monitor strontium and calcium. All of our water testing kits are extremely sensitive, for accurate results, and are available in multi test kits to cut down on the effort and expenditure required.